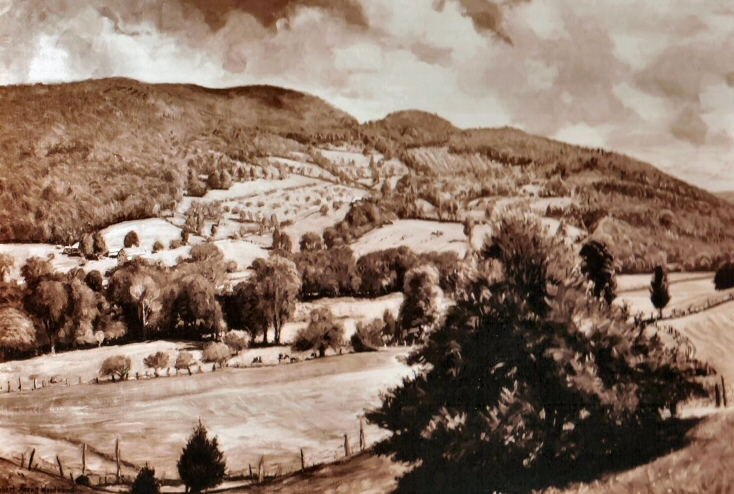 RSW- Artwork page, "Unnamed: Valley and Hill"
Part of the Unnamed Gallery most all are also unsigned. See also the Mountains Gallery to view related pieces. 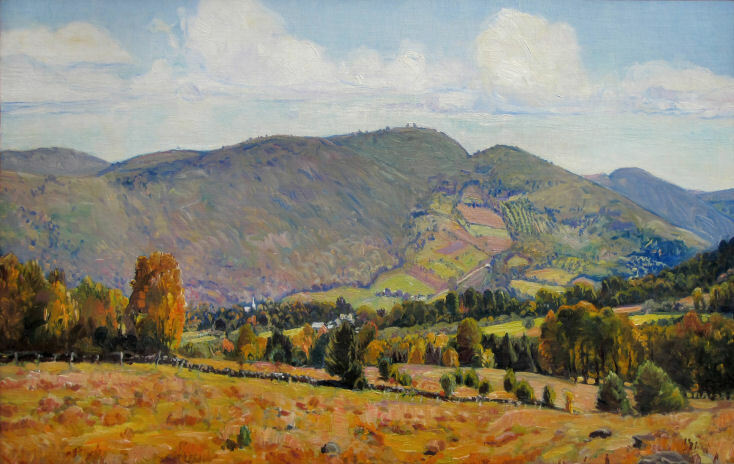 This unnamed, unsigned painting looks very much like the same valley and hill as Valley and Hill yet has a distinctly different in perspective and vantage point.